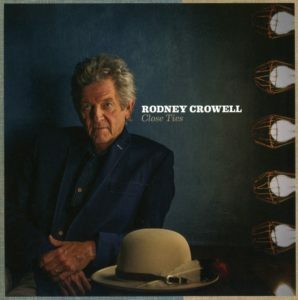 In listening to the latest masterpiece from treasured Americana songwriter Rodney Crowell, it’s evident that mortality is on his mind. At 66 years of age, you can’t blame him, especially since no one truly knows when their number will be called. Most endearing about this record is the fact that Crowell isn’t trying to gloss over any of life’s challenges. He confronts them, warts and all, to great effect throughout Close Ties.